I’ve been playing around with steam beta for linux a bit this week and I am super excited to see this amazing project working so well in Ubuntu. 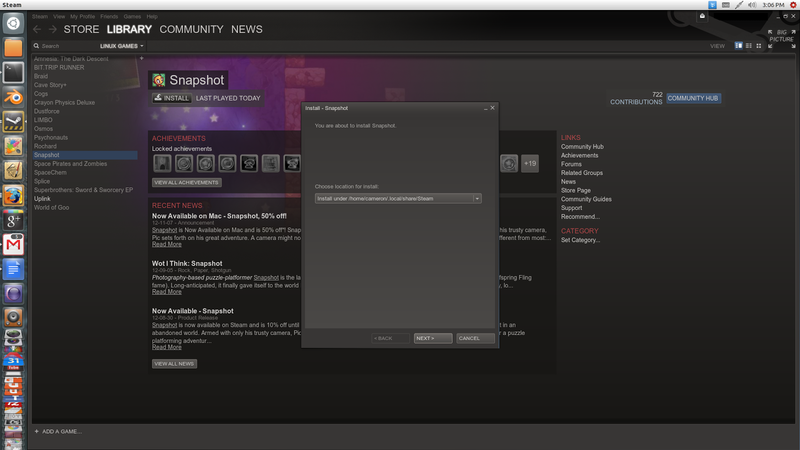 After adding some games I purchased from the Indie Humble Bundle I noticed a little bug that I thought I would touch on. When you view your list of “Linux Games”, Steam will show games that are compatible with linux but unfortunately not all of them are officially supported yet. The easiest way to check if the installation will work is to click the install button and on the window that pops up, check if the disk space required information is visible. If it is blank, like the screenshot below, it will likely not install properly. 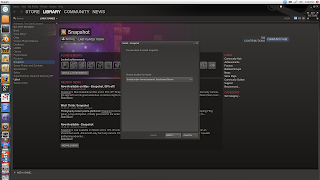 Now start up steam and it will no longer think you have the game installed.